Discussion in 'Flowers & Roses' started by ducks4you, Oct 8, 2018. I see them here every year. I THINK they like my blue salvia, but I would like to know if any of you plant for them, and What you plant. I just watched Mid American Gardener and one of their Extension office people showed a reddish-orange small flowered plant that sounded like fire flower, but I forgot to write it down. Any ideas? They liked it bc the milkweed is finished by now, but this flower keeps going until the frost. Thanks!!! I know this is an old post, but wasn’t sure if you knew you could stream full episodes of mid American gardener on pbs.com! Sounds like butterfly bush or weed, a perennial I've tried to grow but can never get it to survive. That's Asclepias tuberosa. Butterfly weed, and milkweed are both among many common names for it. Around these parts milkweed as we always knew it only comes in mauve, so I didn't know the orange was the same variety. Cool to know that! 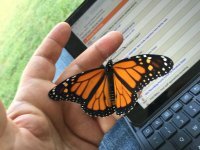 I’m getting in some milkweed soon from Save our Monarchs. I’m excited to make a little yard space for it. I don't think this orange variety is the monarch's preferred food, though. Other butterflies and bees like it. it grows here in several locations. i've planted it by seeding much easier than by transplanting. 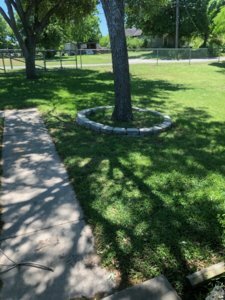 do you have patches that are sunny and have ok drainage? the butterfly caterpillars really ate them back last year in one location out front but largely left the patch out back near the lilac tree alone. i tried to move some larvae when they ran out of food but i'm not sure that accomplished anything. as for nectar sources. butterfly bush (not sure of species name) is very popular with many butterflies, but i'm sure any flowering nectar plant will help them out once they've hatched. for feeding the larvae you need the milkweed plants (the common kind or the one above are two i know of that they'll feed on - i'm not sure if they feed on Joe Pye or not). it is not the same plant, but similar enough they will eat it. the root structure is completely different. it doesn't spread by sending out side roots like the common milkweed does. but it will seed itself around by the fuzzy parachute method. that is how we have them showing up around the yard sometimes. i usually leave them alone. there are other colors too! i've seen yellow and reddish versions. we have the normal aka common milkweed growing here too and i'm not sure i've seen a preference. in the space back by the lilac tree the plants might only be a few feet apart (the common milkweed and the butterfly weed). 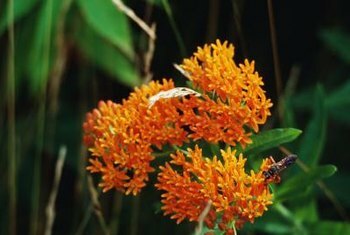 the butterfly weed is a shorter plant and the leaves are not as big. i'll keep spreading it around as i can, but orange is not a color that Mom likes so she doesn't want it everywhere.